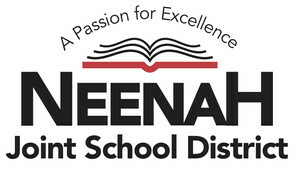 The Passion for Excellence Award was created by the Neenah Joint School District Board of Education in 2006 to recognize deserving individuals or organizations who exemplify commitment to excellence in our public schools. The award is dedicated in memory of John Hinkfuss, who served on the Board from 1987-2002 and promoted a passion for excellence in the District throughout his term. Residents of the Neenah Joint School District community, including parents, staff, students, public figures and community members, are eligible for the award. The recipient should clearly demonstrate a “Passion for Excellence” in our educational programs. The award could reflect a single achievement or a lifetime of service. Anyone may nominate an individual for the award, which will be considered anytime by an Ad Hoc committee of Board members within 90 days of submission. Self-nomination is not permitted. As considered appropriate, two to three individuals, groups or organizations will receive the award per calendar year. The award will be presented at a Board of Education meeting.